Since 2001, the conflict in northwest Pakistan has killed and injured thousands of civilians, displaced millions, and destroyed countless homes and livelihoods. 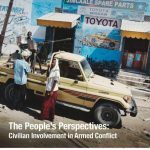 Headlines focus on the horrors of terrorism in Pakistan, but CIVIC’s research shows that civilians suffer greatly from a much broader range of conflict-related violence. Pakistani military operations, particularly artillery shelling and airpower, cause significant civilian losses. Civilians are caught between militants and Pakistani forces, while also suffering the consequences of extrajudicial killings, sectarian violence, explosive remnants of war, and US drone strikes. 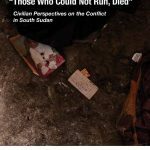 This report documents civilian losses as a result of this armed conflict, analyzes the humanitarian, security, and strategic consequences of those losses, and examines existing-and needed-efforts by warring parties to make amends to survivors. CIVIC conducted interviews with Pakistani and US policymakers, humanitarians and officials from international organizations, and over 160 Pakistani civilians suffering direct losses from the conflict. After nearly a decade of conflict and billions of aid channeled into Pakistan, more can and should be done to address the civilian cost of the conflict. CIVIC proposes concrete, specific measures to warring parties and their partners toward finally acknowledging and making amends for civilian harm. US drone strikes, in particular, have touched off intense public debate. Neither the US nor Pakistani governments officially deny the program exists but tacitly concede its existence. Anonymous US officials insist that civilian casualties caused by drone strikes are minimal. 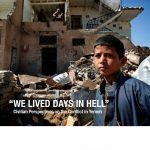 CIVIC’s research and that of other independent non-government organizations indicates that the number of civilians killed and injured by drones is higher than the US admits. This report demonstrates that amends are both possible and practicable in Pakistan, and expected by Pakistani civilians. This requires new programs and a significant improvement of efforts underway. Most Pakistani war victims have yet to receive any assistance, compensation, or even recognition of the harm they suffered. Without savings, insurance, or social safety nets, the shock of a death, injury or property damage can dramatically alter families’ lives, pushing many into debilitating poverty. 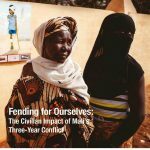 Report authored by Chris Rogers, Center for Civilians in Conflict, October 2010.